Neal’s Yard Remedies produce world renowned ethical, organic, natural skin care and beauty products that are chemical free, benefiting not only your body but also the environment. Skin care, make-up, aromatherapy oils, herbal remedies for the whole family with additional bespoke lines for men and children. 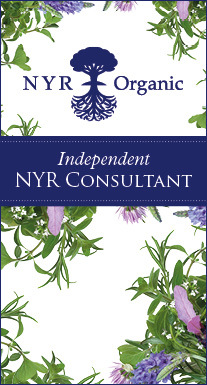 I am an Independent Consultant for Neal’s Yard Remedies. I’d heard about them a few years ago and knew they produced organic products but my interest was piqued when I was trying to find a chemical free product for a client who was suffering with eczema. They found the Stellaria cream incredibly effective. Within 24 hours the redness and itching had subsided and they were delighted! The more I researched the company, the more I realised I had to start trying their products. I used myself as a guinea pig, muscle tested their supplements on clients to check they worked and once fully confident in the quality of their products, signed myself up as an Independent Consultant. This opened my eyes to a whole world of blue bottles dedicated to supporting people’s well-being. I have undertaken many hours of additional training with them enhancing my knowledge and developing my skillset and was both delighted and relieved to have joined a family owned company whose entire ethos is about holistic health. The NYRO motto is ‘People Helping People’ which mirrors my ethos in life. As a kinesiologist, my job is to help identify the areas in your body which need rebalancing so your body can heal itself. As a kinesiologist, I am a firm believer that the digestive system is central to long term health, however, the luxury of being able to recommend a client to use a product I know is completely ethically sourced and chemical free, brings a little piece of happiness every time. Neal’s Yard Remedies Organic create a harmonious fit with my business which is all about natural health.